Is your cat trying to tell you something? Cats are notoriously mysterious, but learning to read your cat’s body language can help you understand what’s going on in that feline brain. 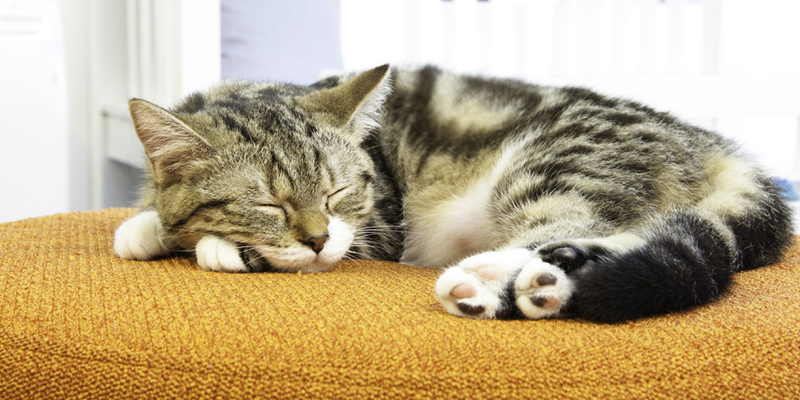 Check out our guide to cat body language for tips on deciphering your cat’s state of mind. 1. Alert: If your cat swivels her ears or points them forward, with her tail upright, it means she’s alert and paying attention to something interesting (but not threatening). 2. Happy: If your cat’s ears are forward, and she holds her tail upright and flattens her fur, your cat is in a good mood! 3. 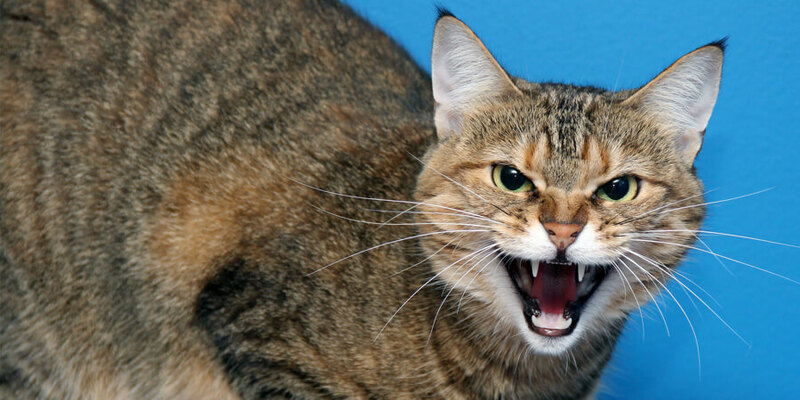 Angry: If your cat flattens her ears to the side and thrashes her tail back and forth, watch out! Your cat is riled up about something. An angry cat may also arch her back, and her fur may stand on end. 4. Frightened: A frightened cat looks a lot like an angry cat, with one key difference. If your cat holds her tail low—or even tucks it between her back legs, she’s probably scared rather than angry. 5. Aggressive: If a cat is ready to attack, her pupils will constrict, and she’ll often roll on her back and growl. 6. Excited: An upright, quivering tail is a telltale sign of an excited cat. You might notice that your cat does this when you break out her favorite treats! 7. Relaxed: Purring is the classic sign of a contented cat, of course—but you can also tell that your cat is perfectly at ease if she lays on her back and exposes her belly. 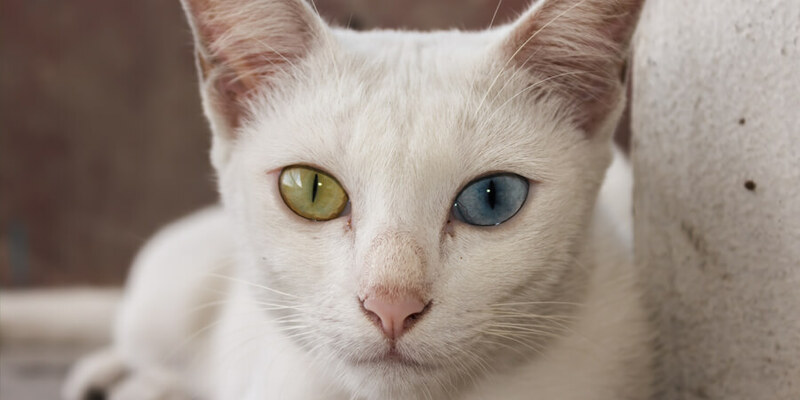 Every cat is different, but they do use their ears, eyes, tails, and fur to communicate their emotional states. What are some of your cat’s unique body language cues? We’d love to hear from you!